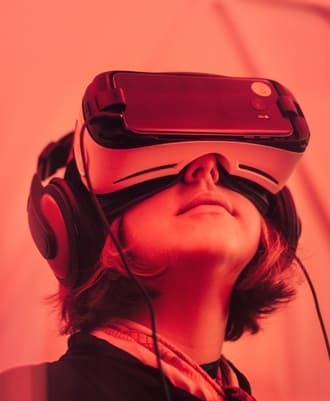 In the past decade, virtual reality technology has impacted the gaming, research, sports, entertainment, and education industries, making it possible for humans to fully immerse themselves in real-life scenarios. 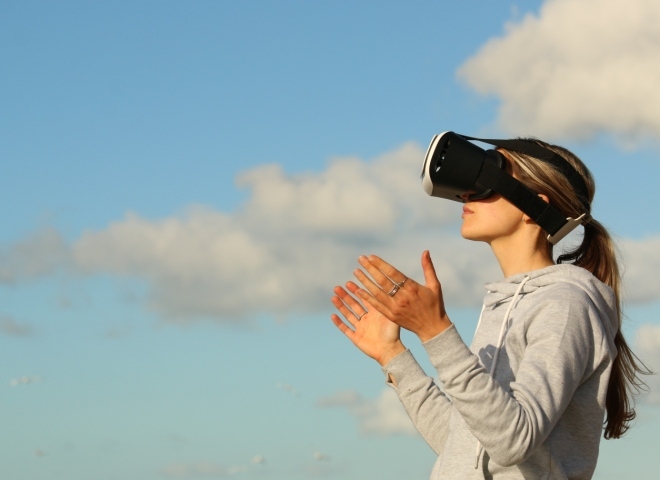 More recently, however, virtual reality has taken a shift and is now disrupting the healthcare industry and is showing no signs of slowing down. By 2020, augmented reality (AR) and virtual reality (VR) in healthcare are expected to generate $2.54 billion globally, according to research and consulting firm IndustryARC. Just so everyone is up to speed, AR is a mix of the real and virtual worlds, as developers can create images within applications that blend in with contents in the real world. VR on the other hand is the creation of a virtual world that users can interact with. This virtual world should be designed in such a way that users would find it difficult to tell the difference between what is real and what is not. Thankfully, VR has come a long way since its inception in the ‘80s and is no longer a pipe dream but an actuality. From relaxing patients and improving surgeries to training purposes and watching operations, here’s how VR is shaping the healthcare industry. Any surgical procedure — regardless of how big or small — requires lots of training because a small mistake can have fatal consequences. However, surgeons now have access to VR headsets and ‘haptic’ training tools (similar to how a video game controller vibrates when you make a mistake) that provide surgeons physical feedback. This VR simulated training gives surgeons the opportunity to practice risk-free on virtual patients before they take their real patients under the knife. Thanks to VR, everyone from concerned loved ones to promising medical students can watch the operation in real time. Last spring, cancer surgeon Shafi Ahmef performed the first-ever operation using a VR camera at the Royal London hospital. Anyone could participate and watch the operation in real time through the Medical Realities website and the VR in OR app and see how the surgeon removed a cancerous tissue from the bowel of the patient. For those that have had to spend long periods of time in a hospital, staring at four boring white walls for days at a time can attest to how boring and lonely it can be. You can’t do anything but think about your condition and sometimes if feels as if you’ll never get to leave. Dr. Brennan Spiegel and his team at the Cedars-Sinai hospital in Los Angeles introduced VR to their patients to help them release stress and reduce pain. When patients put on the VR headset, they could escape from their small hospital room and visit beautiful landmarks around the world — completely forgetting about their condition and pain. Medical VR will not only improve the hospital experience for patients, but the cost of care is also reduced. VR can significantly reduce stress and pain, which could result in a shorter hospital visit and the amount or resources used. Regardless of one’s age, getting a vaccination can be a stressful experience — especially if you’re a small child. Recently, Dr. Mark Silverberg, a Sansum Clinic paediatrician began noticing most of his young patients were often quite nervous open arriving at the clinic because they associated their doctor’s visits with painful shots. Dr. Silverberg teamed up with Dr. John LaPuma, a fellow Santa Barbara clinician, and created a pilot study, which found that VR could significantly improve the vaccination process for children. In a recent study of over 200 children at Sansum Clinic locations in Santa Barbara and Lompoc, California, roughly half of the children were given virtual reality goggles to view ocean scenes while getting their seasonal flu shot. Parents and clinicians for both groups were surveyed after and reported the VR group felt less pain and fear than those braving it without. Parents whose children were given the Turbot 3D virtual reality goggles reported that their sons and daughters experienced 48 percent less pain and 52 percent less pain, and the clinicians reported even higher – 75 percent less pain and 71 percent less fear. Finally, VR can also help with pain management and rehabilitation. For burn patients, the University of Washington's Human Interface Technology Laboratory developed SnowWorld, a VR game designed to change the perception of pain for patients undergoing bandage changes and wound cleaning. This procedure can occur many times a day and can be excruciatingly painful. The game, however, can take the patient’s attention away from the pain as they get to throw snowballs at penguins in a snowy canyon. Meanwhile, over at New Zealand's Health and Rehabilitation Research Institute, a VR game called Submarine has been created and its. The game helps patients rebuild strength and function in their arms, as they are required to put their arms in slings loaded with sensors and haptic feedback devices. They then use arm motions to guide a virtual submarine through a basic assault course, translating their physical movements into control inputs. Without a doubt, there’s no better time for VR in healthcare than the present, as existing applications will only continue to develop and become more advanced. VR is already on the path to completely re-shape the future of healthcare by improving training for surgeons, making it easier to watch procedures regardless of where you are in the world, allows patients to escape the confines of their hospital room, reduces fear for children, and improves pain management and rehabilitation.